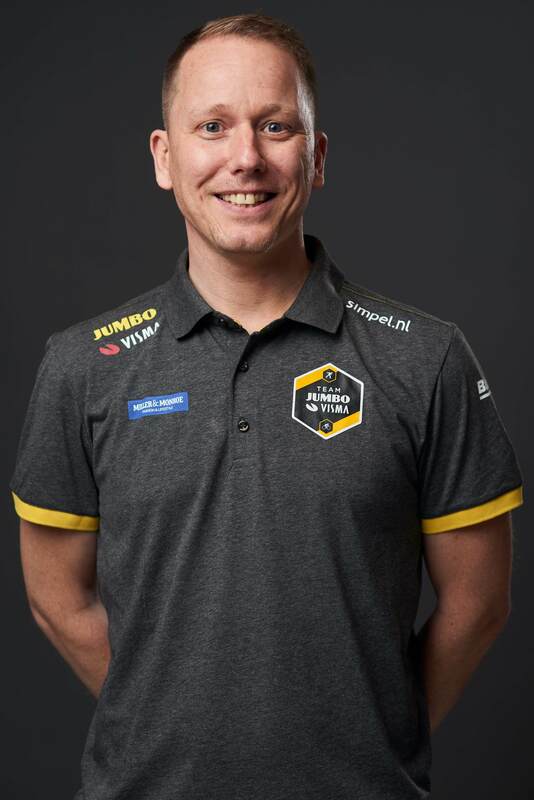 Tim Heemskerk performance coach at Team Jumbo- Visma. Tim has an education Human movement sciences. he used to be a cyclist; road as well as field and MTB. In the last discipline he was a member of the national selection. After his cycling career he was coach of the national selction MTB in the Netherlands (2010-2016), which inlcuded the olympic games in London and Rio de Janeiro. During these years he followed the Master Coach education and continued his career as independent coach at Poer2Peak. During the Winters of 2017 and 2018 he was a coach at USA Cycling.